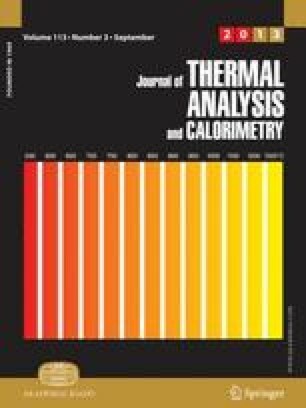 In this paper the influence of alkaline-earth admixtures on the synthesis of lanthanum chromites of La1–xMxCrO3 (x=0; 0.3; M=Ca, Sr, Ca+Sr) type was studied. The formation mechanism as well as the phase composition evolution, under non-isothermal and isothermal conditions, were investigated by thermal analysis and X-ray diffraction. The structure of the compounds and of the solid solutions formed depends on the solute type by means of the structural distortion induced. The crystallinity of the chromites obtained is obviously influenced by both the temperature and the thermal treatment plateau.